Bytecoin has an appropriately sordid history for a Cryptocurrency that prides itself on privacy and anonymous transactions. 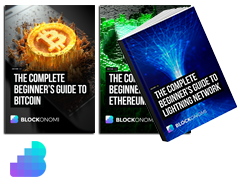 It began life in 2012 – not 2014, as the developers originally and fraudulently claimed – as the first cryptocurrency based on the now ubiquitous CryptoNote application layer. Wholly independent from the similarly named Bitcoin, Bytecoin aimed to return cryptocurrency to its cryptic roots, providing users a truly anonymous peer-to-peer currency. Nowadays, Bytecoin can be found on most major exchanges. But the prehistory of this proto-privacy coin contains a microcosm of the industry as a whole. Therefore, it might give clues as to the direction cryptocurrency will take in the future. To talk about the origins of Bytecoin, we first have to talk about the origins of its much more famous and wealthy cousin, Bitcoin. In the white paper authored by the still-unknown entity Satoshi Nakamoto in 2008, Bitcoin is laid out as a populist alternative to the traditional system of using trusted third parties, like banks, to move money from person to person. Indeed, this new Bitcoin was designed to be a purely peer-to-peer system, eschewing trusted third parties for rules written directly into the code. In theory, at least, Bitcoin could be transferred fairly anonymously from one person to another, with only the blockchain and the folks involved knowing about it. This conjures up images of cypherpunks trading revolutionary secrets and building neo-hippie communes, linked together by love and peace and many, many wires. The reality was quite a bit different. Bitcoin’s original huge use case was as the currency of choice for the Silk Road online black market. Here, Bitcoin could be traded anonymously – at least, in theory – for drugs, weapons, and other illegal fare. The ultimate failure of Silk Road (and its successors) and the U.S. government’s confiscation of millions of dollars in Bitcoin revealed that the allegedly untraceable Bitcoin wasn’t so untraceable after all. With a little bit of sleuthing, it was possible to link Bitcoin addresses and payments to online identities. Those online identities could then be linked to the real folks behind the screen, leading to arrests and confiscations. CryptoNote was an attempt to address these privacy coins within Bitcoin. The 2013 CryptoNote white paper explicitly compared itself to Bitcoin, presenting itself as the pro-privacy alternative due to its use of multiple signatures instead of Bitcoin’s simpler ledger system. Under significant amounts of complicated coding, the problem comes down to Bitcoin’s linkable addresses. CryptoNote directly solves this problem. Bytecoin was the first cryptocurrency to adopt the CryptoNote standard, immediately presenting itself as the pro-privacy Bitcoin alternative. Early Bytecoin developer Harry Ullman told CCN in an interview – conducted via email, of course, to preserve his privacy – that Bitcoin’s algorithm was tweaked using CryptoNote as a base to create CryptoNight. The ultimate goal was completely unlinkable transactions. Here’s where things get sticky. 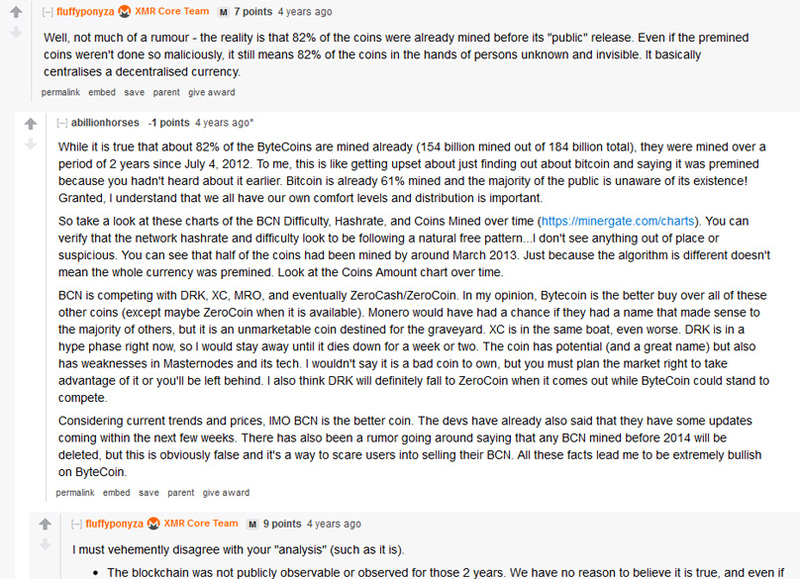 There is disagreement in the privacy coin community as to exactly when Bytecoin was created and by whom and what the developers’ ultimate goals were. This is complicated by the very nature of Bytecoin as a privacy-focused coin. In a 2014 Reddit thread, The creator of rival privacy coin Monero, Riccardo Spagni, using the handle fluffyponyza outlined the highlights of the debate thus far. The Bytecoin blockchain allegedly began in 2012, during which time more than 80 percent of the coin was pre-mined – 151 billion of 184 billion possible coins. How is this possible, given that the CryptoNote white paper was only published in October 2013? 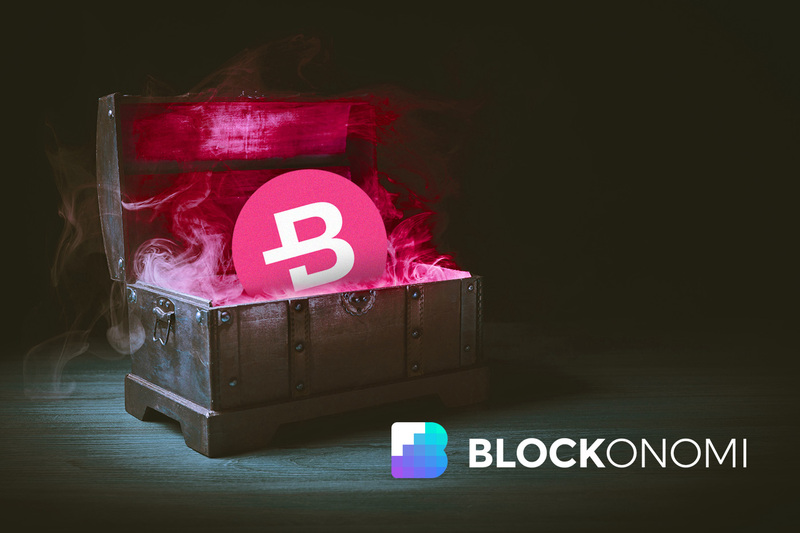 The Bytecoin blockchain could have been falsified, or the CryptoNote developers could have formed Bytecoin in secret, pre-mined it, and then released the open-source technology to the rest of the world with a hefty head start in 2014. The developer added that there are more questions surrounding who exactly wrote what, when, and why. As of February 2019, Bytecoin carries a per-coin price of $0.000586 with a total market cap of just over $107 million. Its most famous competitor, Monero, is priced at $43.74 with a market cap of nearly $733 million. This tells a story, and it’s surprisingly not about Bytecoin’s somewhat shady past or Monero’s recent dominance. It describes a market where coins aimed at transferring money anonymously command sums measured in millions and even billions of dollars. Whether the controversy surrounding Bytecoin is deserved remains an open question. However, it’s clear that privacy coins have carved out a significant niche in the crypto world, and their influence is only going to continue to grow.